Burgundy Tour to Côte de Nuits and Semur-en-Auxois Includes: Your Burgundy private tour includes private transportation and English speaking tour guide, cost of wine tastings, taxes, tolls and parking. Departure points: Lyon, Dijon, Beaune and vicinity. Paris via trains; we make all the arrangements.Other departure points available. Please inquire. On this relaxing upscale private tour in Burgundy, your tour guide in Burgundy will take you on a private tour of Côte de Nuits, a region famous for its great red wines, particularly its Pinot Noirs. Beloved red wines from this region include Saint-Denis, Chambolle-Musigny, Vougeot, Vosne-Romanée and Nuits Saint-Georges. The Côte de Nuits grand cru wines are among the smallest appellations in France, some covering less than a hectare. 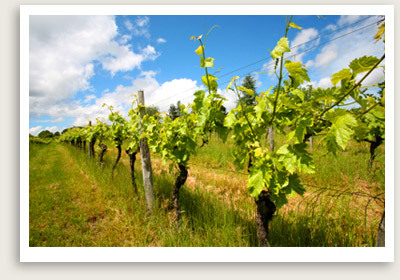 You will visit a Côte de Nuits wine producer, where you’ll be introduced to the art of wine tasting and production. Your private guide will next take you to the picturesque medieval village of Chateauneuf-en-Auxois for a leisurely lunch in a small local restaurant. In the afternoon your Burgundy private tour will travel through the countryside along the Burgundy canal, stopping at the picturesque medieval village of Semur-en-Auxois. This charming medieval village was built on a pink granite bluff, partially circled by the Armançon River. You will return to your hotel by late afternoon.